Aliayah was last seen at home. Her mother reports the child was gone and the door was open when she awoke. It is very important that 'readers' of the TAROT understand this, therefore one has to be very discerning when reading. Media news can put out stories that are not factual or are pre -mediated but Tarot can pick that up. It does,nt mean that tarot is wrong, it shows tarot can see what might be suggested. However when writing the tarot it may be taken as fact.Please always read the following article. I have been asked if I would look at Tarot in respect of this little girl. I assume at the time of writing that she is still missing. Tarot is not 100 per cent accurate and covers glimpses of the situation past present and future. I cannot be certain what 'era' Tarot is 'talking about' but give all the information that I have. Please go to other sources for factual information. Firstly what a very cute little girl, there are other pictures of her and she is the sweetest little tot. This is a very brief look at the situation and not a full account. As you can see the first card that I have got is the Strength card. This card is a number 8 in the pack of Major Arcana. I think this little girl has been sick and was possibly recovering from a sickness of short illness of some description. She certainly may have been unwell even temporarily. The card prior to this is showing me a car/vehicle in the Chariot which at first glance appears to be going 'out of town' the following card from Strength seems to show the Hermit card which appears to give me open landscape, rurality. I often mention camps, campus, trailers, mobile homes or somewhere that is off the beaten track in this card as it is a 'lonely card' . It can also describe being near bumpy roads or hillsides. I really think I am seeing travel/car so it might suggest this girl is connected to a car? or that some kind of vehicle is involved. I am debating about whether she disappeared by herself or not. There is always something about the 'physicality' of someone on this card and all I can suggest is that she had been ill or that there was some threat to her health. It is possible there is a lady in this card but this is someone that the little girl would have felt comfortable with because there does not seem to be fear in this card. The Hermit however could be an older man or someone with facial hair who might live on his own. I am seeing her with family or family home/environment leading up to this 'sickness' card. Im wondering if she was alone at some point and a vehicle connecting with her. I say this because I can see the travel in the cards following. Justice comes into the picture and there may be a court battle or legal problem? This may be in the wrong order of events but this is what I have. I am a bit concerned about the actions of the woman I have seen here - I hope I am not seeing anything untoward between her and this child. I keep thinking at the back of my mind that this little girl was unsettled. This little girl comes up with a Pentacles card as to where she might be. Tarot does not give us names of places as a rule though I have often hazarded a guess and been close but not close enough for me to have any confidence in Tarots ability to dot the map. What this card is actually saying to me is more of a situation. There does not seem to be enough 'money' - running out of money all the time is what I am receiving. Was there enough money to 'keep this child' ? I am seeing periods of unemployment which in some ways is making me wonder if there is a place or business that is not very populated if at all. Is it a lonely place? well, I just dont see a lot of people but it might be some kind of premises or even near some premises or a building that I have here. Under population might mean that it is somewhere rural. I am looking at the Ace of pentacles which can show an arch and a nice garden or a garden and the land beyond. At the same time that would be a reversed card and that stumps me in a way because that to me would show NOT going out of the garden grounds. This little person does not seem to be walking themselves out of the garden gate. Someone here is having trouble delegating finance/business and work matters, in fact it does seem that there are problems with all three matters and Im a little worried about this because it shows that the situation might show a bit of catastrophe here. I keep seeing business - some kind of work in rural surroundings and thats where Im seeing this child but I also see a vehicle. I have seen this vehicle in the beginning and this child has been connected to it. I see this child with a woman and a man and they are 'down and out' in some way, things are not going right for this group of people. The woman wants to 'hide her head' and the man feels as though he is 'injured' but the kind of 'injured' I see could be a sense of mentality rather then actual but there might have been a problem to a leg or there is a limp? More money goes out then goes in and quick cash is really needed here and nobody is going to work for it that I can see in this set up of cards. I just see enormous insecurity on this child . If she has left the family premises, I feel that she was not alone at some point as I do see these two other people. I see an eviction on a family home here and I think someone cannot 'keep' a child. So looking at a direction, we are looking at NORTH for pentacles. This means NORTH has importance either as a pointer of where this girl originally was then moving on from there - reversed cards can slightly mess up directions on occasion - but North comes in somewhere but so does SOUTH. There is a number four here so perhaps the FOUR might be a distance marker or a route or have another significance. I see this child linked to 'work' . ? The Pentacles are Earth cards and this child is connected to the Earth so I do see her 'outside'? This can also be seen in the 10 of swords and therefore I would be thinking of a vicinity that has a river or a name that links to water. I feel this could be a difficult card to suggest when this child will be found but it has a 14 number which could be significant. It is normally a MONTHS card but that could imply anytime within 14 months. Getting the King and a link back to 10 of swords is not always an optimistic outcome regarding finding this girl as I sense illness and health impairment. I actually think this little girl is so lovely that really I find it hard to write about the very little ones . Doctors/lawyers/legal matters are all going to come up very strongly when/if this girl is found. I think there will be some difficult matters to deal with. I do not think this child slept well I see very bad insomnia with her. I may be seeing a grandmother at some point in the cards and not sure of the significance of that. I dont know if it is possible for a child to be 'depressed' but I see depression or instability which is coming through. 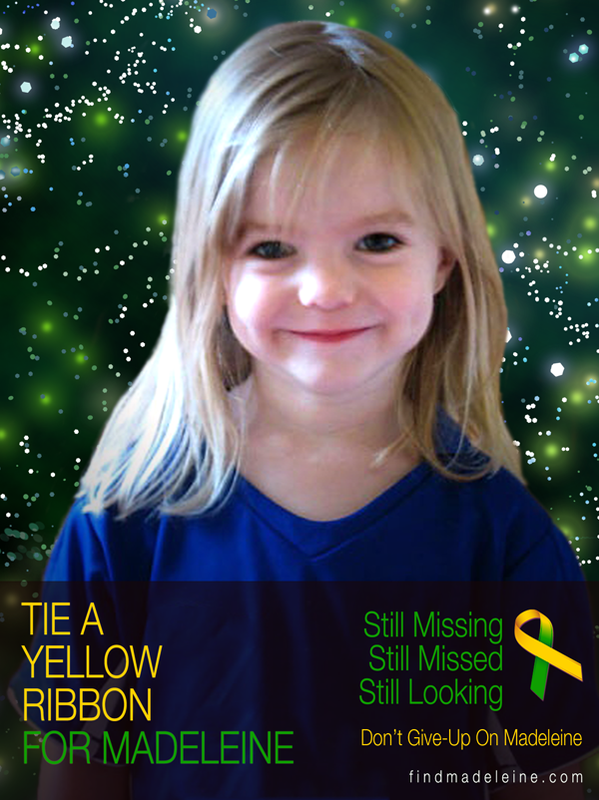 I think for the moment I will leave it here and if this little girl is not found I will need to look again. I am seeing the colour Yellow and a small body of water. I feel this girl might have come into contact with water or that something either a name or some connection to water and her. Re -thinking the cards - I am wondering if there is a problem about the actual date that Aliayah disappeared ? I will give it all some thought. Tarot is not 100 per cent accurate and information may be scattered but hopefully some of it might be useful for an overall picture. 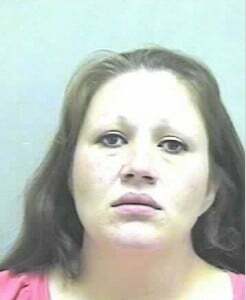 ELKINS, W.Va. — A woman whose 3-year-old daughter has been missing for more than three months pleaded guilty Tuesday to a federal charge of welfare fraud. Media outlets say 29-year-old Lena Lunsford appeared before federal Magistrate John Kaull in Elkins and pleaded guilty to selling $114 worth of credit on her food stamp card for $50 cash. She had been indicted on multiple counts in October, accused of swapping for cash five times in two months. Lunsford will be sentenced at a later date and could get as much as five years in prison and a $250,000 fine under the plea bargain. Aliayah Lunsford, 3, has been missing for almost five months, since late September. But thanks to some concerned community members, retired New Jersey law enforcement veteran Joe "Nick" Nicholas, also known as "The Bloodhound" from his cable television show, is in Weston. Nick said the W.Va. State Police and FBI are cooperating with him and that he's offering his services in exchange for food and gas. Maps at the headquarters also show a bone was found at some point near Roanoke. WESTON, W.Va. -- The FBI has a working theory about what happened to a 3-year-old Lewis County girl who vanished six months ago, and it doesn't involve a break-in. The FBI held a press conference Thursday morning in Lewis County to mark six months since Aliayah Lunsford, 3, went missing. A small crowd of community members were in attendance. Some said Aliayah's disappearance on September 24 has torn the Lewis County community apart. "It's taken a really bad toll because everybody has put their lives on hold. Every body is concerned about this baby. When you have a missing baby and you have children or grand children the same age, every body comes together," Patricia Rager said. Officials said they've received about 150 tips and that two FBI agents and two state troopers work on the case everyday. "He reassured us that it's every single day. I know that made people feel a lot better," said Margie Blake of Weston. Despite that, investigators did not have much new to report. They were able to dispel one theory in the case. "We have found no evidence to support that there was a break-in that led to Aliayah's disappearance," FBI Agent John Hambrick said. Investigators said the information is out there and believe that someone in the community can help resolve the case. "If we had the evidence to make an arrest we would," Hambrick said. "The bottom line is the judicial system is what it is. We're held to certain standards." Investigators also said they're looking at a ‘small universe of people' and still avoided using the word "suspects" in the case. Hambrick wouldn't comment on the role of either Lena or Ralph Lunsford in the investigation. "I know it's not a big update, but we want you to know we continue to pursue this matter. If we had the evidence to make the arrests we would," he said. FBI investigators encouraged people to call the W.Va. Fusion Center at 866-WV-WATCH if they have an information about the case. I have been asked to look once more at Aliayah Lunsford Tarot. I have provided a brief overview and for the time being it may be helpful to see if I can get a little more indepth with the situation. Initially, I generally do not write 'in depth' Tarot due to the enormity of cases pending but there may be other pointers here to expand on. Firstly some points may already be cast but looking in a more detailed way may bring something else forward. Our strength card is pointing out physical concerns and Tarot seemed to feel there was some illness or sickness here. On this first card we can see descriptive landscape shows in the distance there is a single blue moutain peak and a pair of trees. The land is hilly and green. North to North East comes up here and we do have to bear in mind this could be 'starting out point'. There is a feeling of being 'grabbed' or someone is grabbing at us. There is a reference to a Tuesday. There is a reference to Hill or the word Hill and there is a possibly an older person perhaps a man here that lives on his own who could or might have a beard. I am getting something 'White' and perhaps animals or where wild animals roam? Anything with a 'royal' name like the name of a park or place can come up. I am not sure if this is past present or future so everything needs to be examined as a whole. It seems to me that North comes up again but so does south meaning that we could be south of where we were or that South could come up in a name of a street or place as well as direction. A 'G' initial can be seen and BANK. The four of pentacles directly tells us that someone neglects financial responsibilities. It would show us that there is a man involved somewhere also. That money is running out and we feel 'poor' . As we cannot get any more financial help, we do have to make some 'quick cash'. This is the reason I wondered whether there was enough money to take care of this child. There may have been a debt to pay and the child could have come into question over that. There may be someone with white thinning hair. A church might come up? perhaps a debt was owed? I seem to see this girl being 'let go'. Areas described may have , farming equipment, wood stores and places where farm animals roam. The land may be fallow or bare or there may be barren fields, land that is bushy and thorny, or where there are dunghills, compost heaps or soil prepared with manure. I feel someone dark or low or near to the ground. There may be 'water' or boats or a shipyard or somewhere that you would store boats or anything to do with them in the vicinity. Walls, garden fences, gateposts and international borders can come up but so can , church yards and ruins. Even where there is waste disposal can come up here, confined spaces in particular. School names, college could be in the vicinity but at the moment I do not see her in her biological home because I see her 'let go'. I see a rural area with water somewhere nearby or somewhere on the outside of the town. I imagine this is related to Alliayah and not her mother. Someone may have hurt their leg or walk with a stick or had a limp or leg injury. I would even be tempted to wonder about adoption. Numbers 8,4 and 14 . Doctors,Lawyers, higher ups seem to come into the situation even police and legal matters but I think this was seen as Alliayah's mother was arrested. West and East, Hills, airports and airforce /army bases could come up. Water Rock, mountain and stone also can be seen in this card as can water/river. Military bases or Army references can show up. So can shops and trade but these can be movements over past present and future. Places barns, storehouses, airports/hills/mountains, even possibly Railroad names, or Railways, places that sound/link to money ie, Bank, Rich......, Penny....etc. Could all connect in some way. The nearest airport I think is Upshur, near Buckhannon. There are areas there with wildlife parks and streams/rivers however, it is not for me to send people on a goosechase. I have given all I can from Tarot and pointed out what may come up with landscape however actually trying to pinpoint that is very difficult therefore I cannot guarantee any destination suggested. Maybe Dee might look at a map as she has a better idea of areas then I do. Alliayah might be further away then believed perhaps even in a different town or someone at a distance connects but I hope something here will help Alliayah she is a beautiful child. I may still need to think further about Alliayah as these cards are simply an extension of the first reading so please COMBINE everything together. Here I seem to have a vehicle and the colour WHITE. The Chariot is generally a vehicle and the feeling of a vehicle has been strong in the cards. The feeling of rejection by family comes up here whether in regard to a person or to Alliayah or perhaps it was a rejection TO the family? Perhaps there is an outside family member here an inlaw or someone else who was around? I am getting North here and linking to water. Perhaps 7 away from home? I was looking at the town of Weston at one point and noticing that there is a little river or creek there and wondered if at any point this little girl had been there. I just seem to have names that would link to water? sea, rivers and places near ponds or waters - brooks, springs, wells, wash-houses, sea shores, marshy land. Even cellars or basements or dark places could come up. There are so many lies in this case I find it one of the most distressing as for some reason I could feel the distress with this child and wonder if it would have been better to not try to read more into things. I often find that sometimes you are only given certain information and thats about it. However, a B and J , D or R could come up in initials. I feel there are 'two homes' as such here but Im getting that word hill again and I start feeling as though Im going in circles. I feel the 'un nurturing' mother here and the lack of desire to protect but I also see an 'enclosure' and fence. I dont think this girl was wanted and with a reversed Empress it just kills all motherly notions there may even be a guy here who is not biological who does not come across better but I wonder if he disapproved of the mother or whether he was abusive. I see a lot of abuse and I think that is the reason why I just cannot separate my thoughts very well here. The word Spring, canal, ditch enclosure and a 'bird' name. I just think money was more important then the girl. I see some form of sexual abuse here as a possibility and really the whole thing is made worse just looking at this girls picture and I really try not to dwell too much or I dont think I could spend the time I do writing these cases. This case is not nice and this girl had a poor constitution. I would imagine the home or any home connected to her was checked and garages and garage pits and cars. All I can see mainly is a vehicle here and various possible connecting factors . A railway name perhaps or in actuality might come up. At a risk of repeating myself I want to leave it here for now and take a bit of time to consider everything. I do see church elements too might be in a name I thought of Fall Church but thats way over East and I thought of Fort LEE and even Tennerton came to mind but I have been all over the map and now it needs Dee to look at directions and see if she can join some dots. Location thoughts are never guaranteed but maybe something might make sense over past present and future influences connection in some way. I also seem to see Taxis , yellow ones. A taxi driver perhaps? Anyway I need to review what has come out here and think evermore about location. Meanwhile it is best to combine all that Tarot has given and hope something somewhere 'sticks'. It would be a good thing if lies were not involved but when you get someone who lies then its difficult to find the truth and there is a woman who lies in these cards. But what can you do? This Sunday will be Aliayah Lunsford's fourth birthday and the Federal Bureau of Investigations is still trying to figure out what happened to her last September. Special Agent John Hambrick said the case continues to develop. Hambrick has reemphasized the need for help from the public whether it is tips, or just staying interested in the case. He said the FBI is convinced that someone knows what happened to Aliayah Lunsford. "Her fourth birthday is Sunday," Hambrick said. "We need to find her. We simply want to emphasize the urgency of the matter and that we are not stopping. It may sound like a broken record. But we have to do it. We have to continue to reach out to the community because our belief is the answer is out there." The FBI is still offering a $20,000 reward for information that leads to an arrest and conviction. Lena Lunsford, the mother of missing 3-year-old Aliayah Lunsford, will not be back with her children when she gets out of jail this month. This is all the news I could find at the current time. 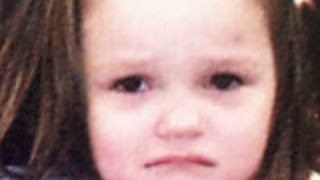 WHEELING, W.Va. (AP) - A judge will hear arguments later this month on a plan to move the mother of a missing West Virginia girl from Wheeling to the Clarksburg area, where Lena Lunsford says she's a "social pariah." U.S. District Judge John Preston Bailey has scheduled a hearing for May 23 in Wheeling. Lunsford was freed from prison after serving eight months for welfare fraud and placed on one year of supervised release. Probation officials now want to move her. Lunsford opposes the move. She's been living at a YWCA, attending West Virginia Business College and working at a pizza shop. Public defender Brian Kornbrath also says she's pregnant with her eighth child. The U.S. Marshals Service arrested Lena Lunsford at 10 a.m. Wednesday at a Wheeling college where she had been taking classes. Supervisory Deputy U.S. Marshal Alex Neville said Lunsford was arrested for violating terms of her probation, including maintaining contact with a convicted felon and failing to pay restitution in March, May, and June. Lunsford appeared before a Wheeling magistrate judge and was sent to the Northern Regional Jail in Moundsville until her preliminary hearing and detention hearing scheduled for 11 a.m. Monday. 25 Feb 2014 - Aliayah Lunsford was three years old when she was reported missing from her Lewis County home on September 24, 2011. Dee passed me this updated information regarding this lovely little child. I really remember how hard we worked on the map and vicinity because it was incredibly difficult. Its as though some parts of the story were missing. The fact that the mother told incredible lies and the treatment of this child all seems to be just dreadful when reading the 'truth' as told by the sister. I remember wondering why the grandmother came up and it seems that the mother was jealous of the relationship. The entire story is just sad to contemplate. I do think Tarot saw a lot of this story but one of the confusions in direction has been the fact that East showed a lot. In the update we have West which of course would have given us a left fork into Vadis territory but we must remember that the body of Aliayah has not been found. Of course as Dee pointed out to me, animals could have taken her. The sisters do seem to think that she was taken to a rural area near Vadis but I did not get that clearly and somehow we missed the strength of the West direction. BUT.. unless there are bones or any signs of the body we cannot yet confirm exactly where this poor child ended up. I do know that if children have to 'cover' something up they will have to deal with very traumatic backlash and no doubt should all this story prove true and what they say is true - it is going to be very hard for them psychologically and I hope that they will heal. I will try to keep an update here. It is hard to know whether there will be any trace of Aliayah found but it could still occur and we can re visit the Tarot . I do remember being very unsure at the time but this could be the reason why. There may be other things to come to light. I have no words to be truthful when it comes to little babies suffering and clearly this little girl did. One can only hope that she is at peace. Very sad business indeed. I will underline pointers of the Tarot as/when it is all told. 11 hours ago - Lena Lunsford-Conaway, 35, is charged with multiple felony counts related to the 2011 disappearance and presumed death of her then 3-year-old daughter, Aliayah Lunsford. 1 day ago - WESTON, W.Va. — Beginning 9 a.m. Monday morning, Lena Lunsford, the 35-year-old former Lewis County woman charged in the death of her own daughter, will begin what is expected to be a two week trial to determine her guilt or innocence in what is now the presumed death of Aliayah Lunsford.